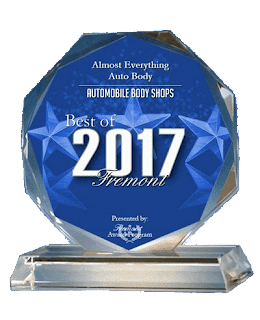 2017 Best Automobile Body Shop–July 29, 2017--Almost Everything Auto Body has been selected for the 2017 Best of Fremont Award in the Automobile Body Shops category by the Fremont Award Program. 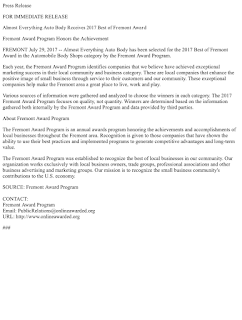 Each year, the Fremont Award Program identifies companies that we believe have achieved exceptional marketing success in their local community and business category. 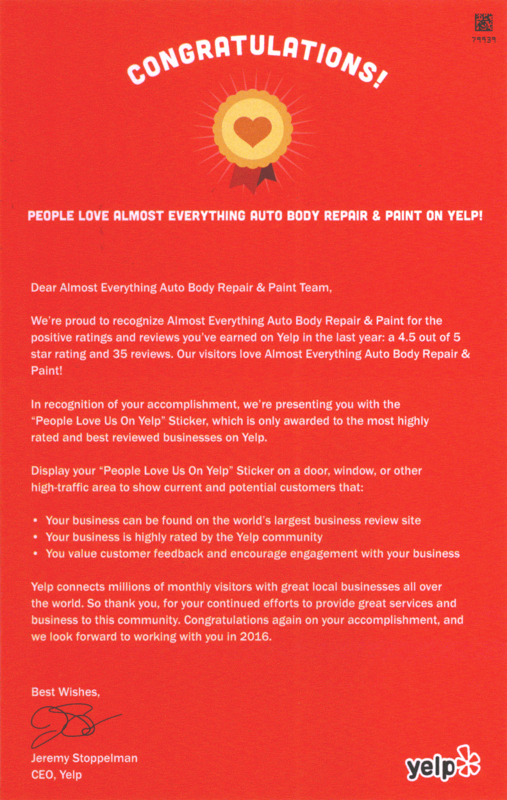 These are local companies that enhance the positive image of small business through service to their customers and our community. 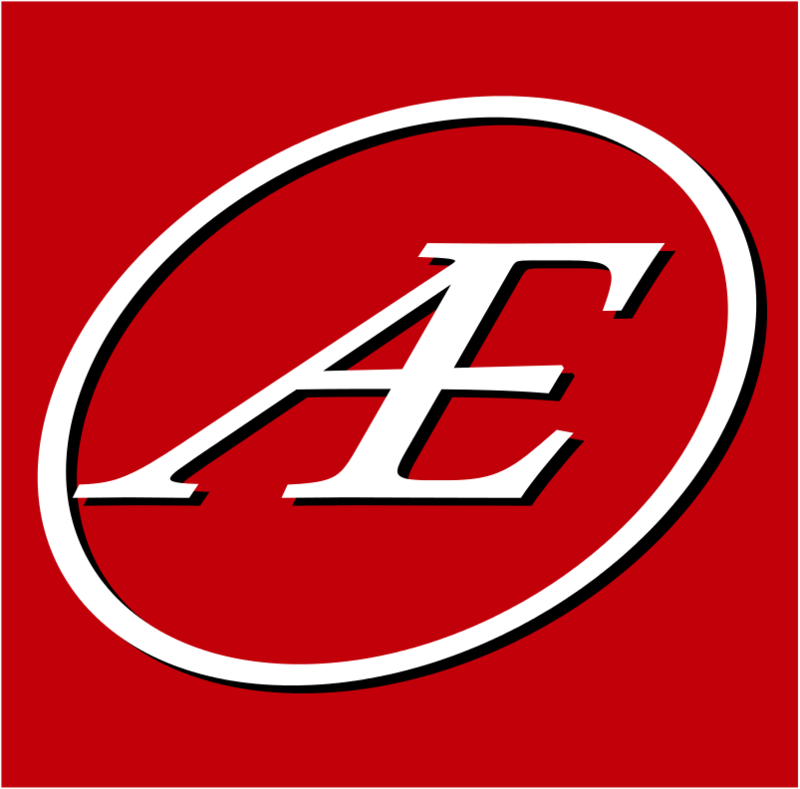 These exceptional companies help make the Fremont area a great place to live, work and play. 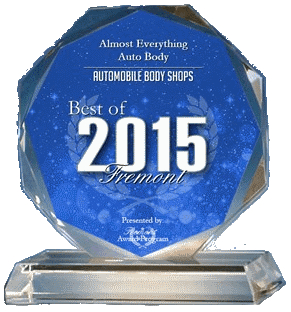 2016 Best Automobile Body Shop–March 23, 2016--Almost Everything Auto Body has been selected for the 2016 Best of Fremont Award in the Automobile Body Shops category by the Fremont Award Program. 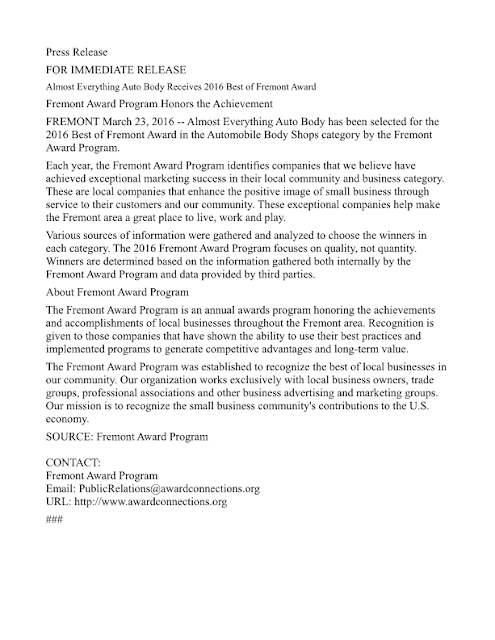 Each year, the Fremont Award Program identifies companies that we believe have achieved exceptional marketing success in their local community and business category. 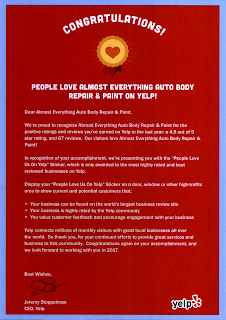 These are local companies that enhance the positive image of small business through service to their customers and our community. These exceptional companies help make the Fremont area a great place to live, work and play. 2015 Best Automobile Body Shop–For the fifth consecutive year, Almost Everything Auto Body has been selected for the Best of Fremont Award in the Automobile Body Shops category. The Fremont Award Program recognizes outstanding local businesses for success in their local community and business category. These are local companies that enhance the positive image of small business through service to their customers and community. 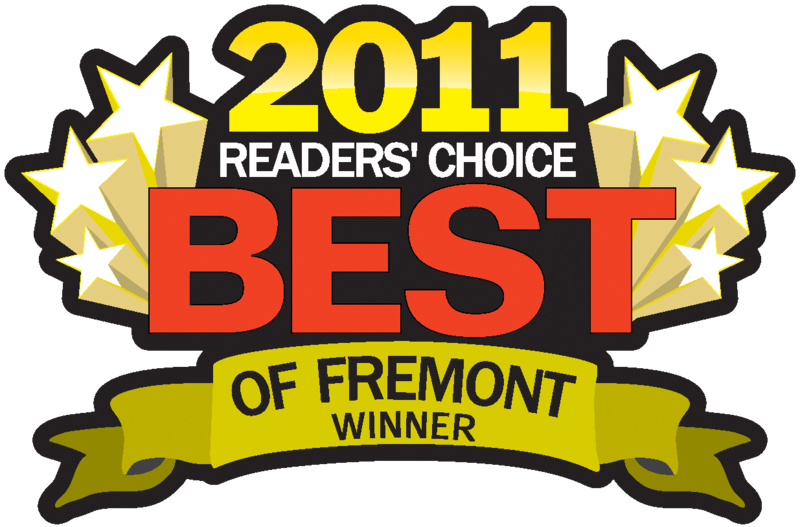 2014 Best of Fremont–Readers' Choice Awards–honored for the 6th year in a row by readers of the Fremont Bulletin & The Argus. 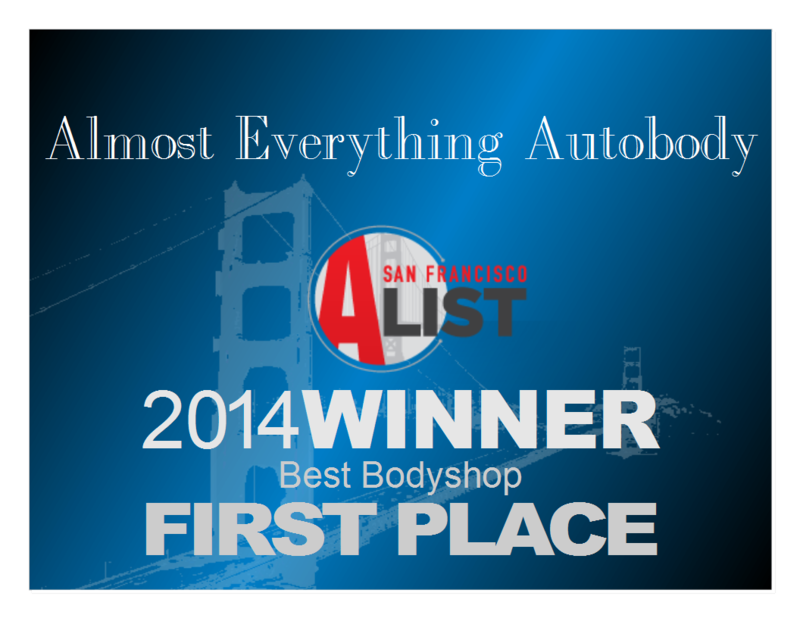 2014 Best Automobile Body Shop–For the fourth consecutive year, Almost Everything Auto Body has been selected for the Best of Fremont Award in the Automobile Body Shops category. 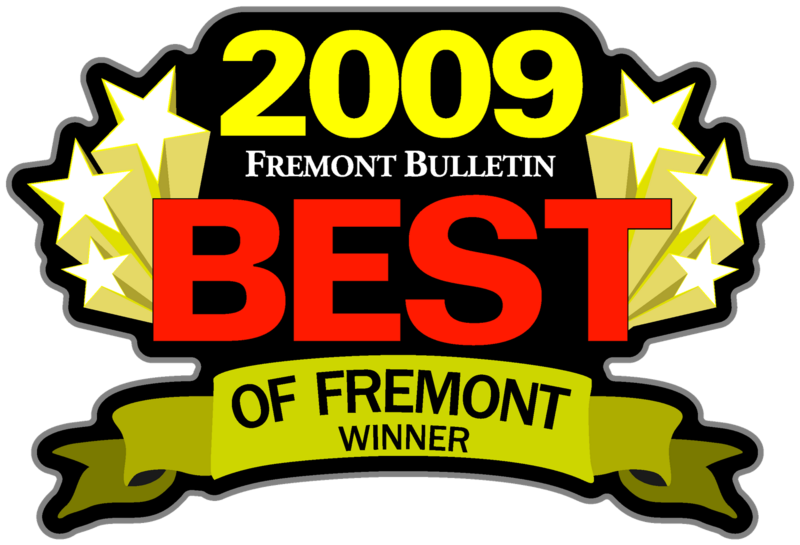 The Fremont Award Program recognizes outstanding local businesses for success in their local community and business category. These are local companies that enhance the positive image of small business through service to their customers and community. 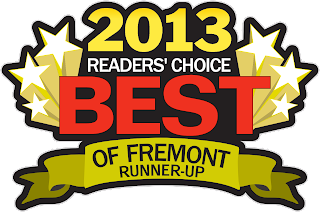 2013 Best of Fremont–Readers' Choice Awards–Runner-Up–votes from the readers of the Fremont Bulletin & The Argus. 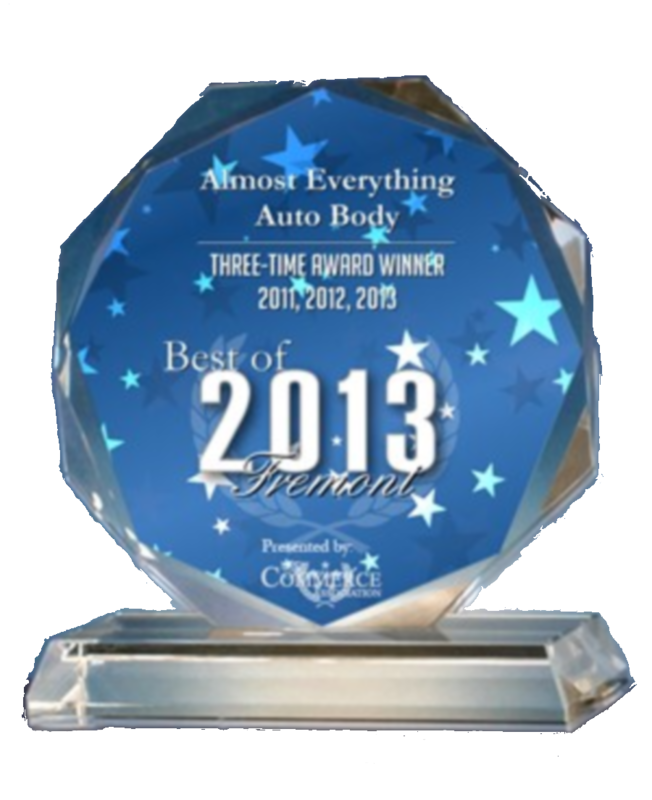 2013 Best Automobile Body Shop–"NEW YORK, NY, May 30, 2013–For the third consecutive year, Almost Everything Auto Body has been selected for the 2013 Best of Fremont Award in the Automobile Body Shops category by the U.S. Commerce Association (USCA). 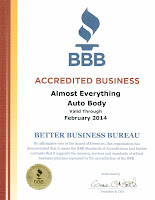 The USCA "Best of Local Business" Award Program recognizes outstanding local businesses throughout the country. 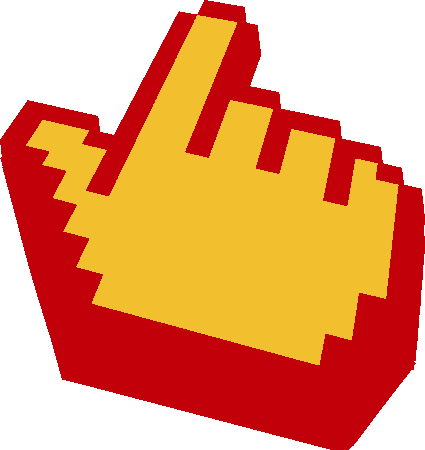 Each year, the USCA identifies companies that they believe have achieved exceptional marketing success in their local community and business category. 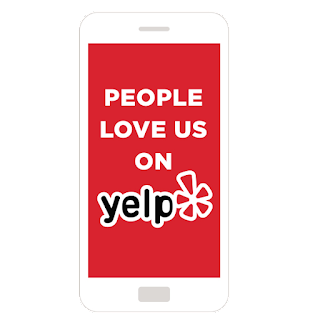 These are local companies that enhance the positive image of small business through service to their customers and community." 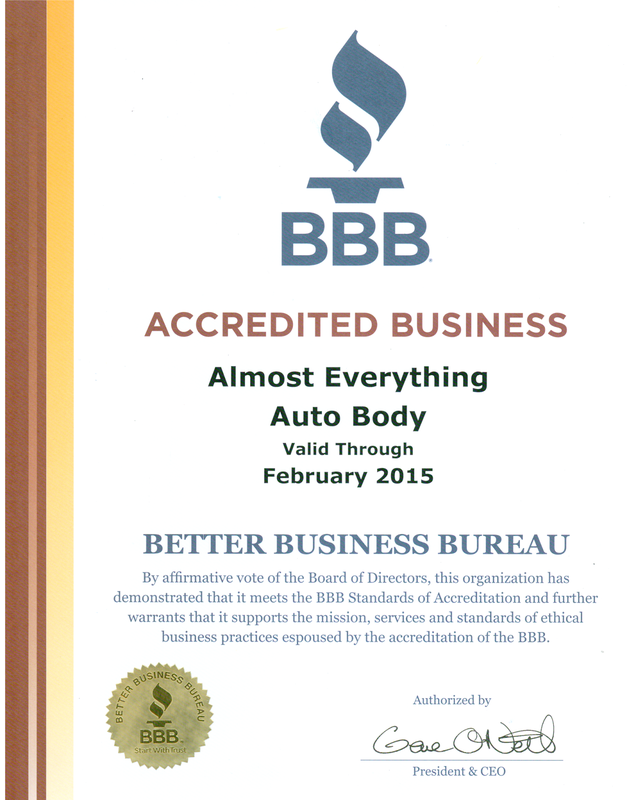 2013 Accreditation from the BBB–Better Business Bureau. "Congratulations on qualifying for another year of BBB Accreditation! Businesses such as yours that have shown year after year a commitment to BBB Standards and Ethics should be recognized and celebrated." "Your current grade is: A+" – Better Business Bureau, 1/24/2013. 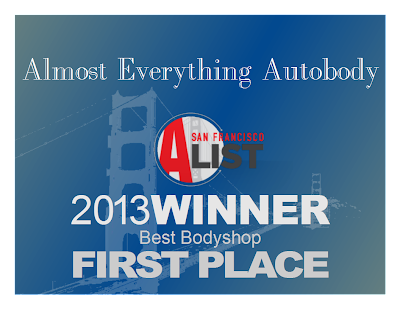 2012 Best Bodyshop–Second Place–For the second year in a row Almost Everything Autobody has been honored by local residents as one of the Top 5 Collision Centers in the San Francisco Bay Area. 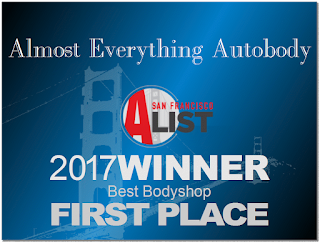 This year 72,000 votes were cast in annual San Francisco A-List contest sponsored by CityVoter.com and ABC7. 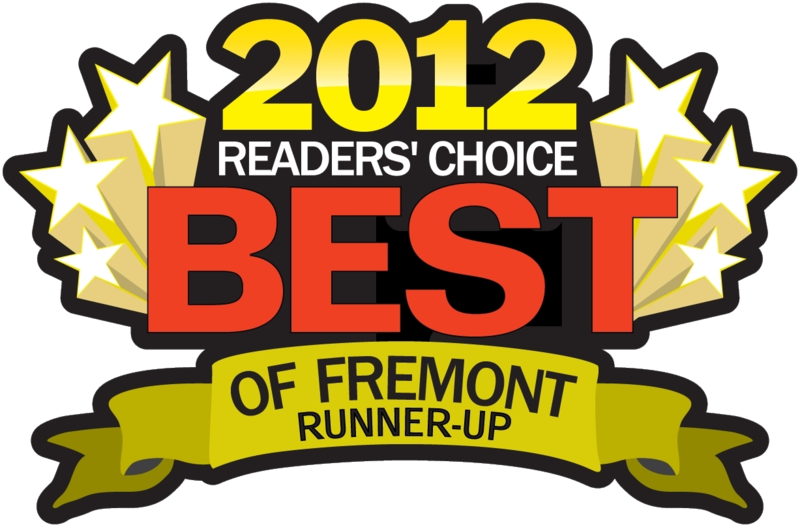 2012 Best of Fremont–Readers' Choice Awards–Runner-Up–votes from the readers of the Fremont Bulletin & The Argus. 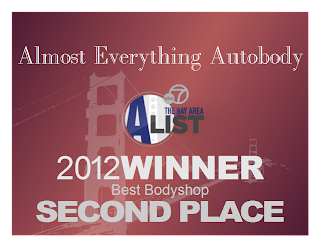 2011 Best Bodyshop–Almost Everything Autobody voted the Best Autobody Shop in the San Francisco Bay Region with the most votes of 90,000 cast in annual San Francisco A-List/BayList contest sponsored by CityVoter.com in association with ABC7, the San Francisco Chronicle and SFGate.com. 2011 PG&E Community Hero award for groundbreaking participation in the SmartAC energy conservation program. 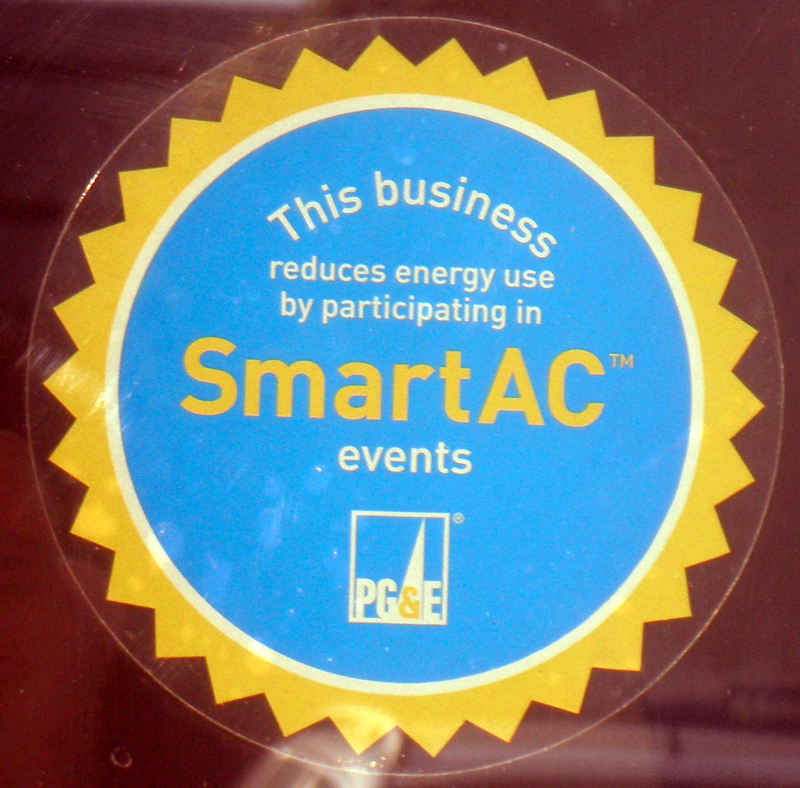 Almost Everything Autobody's participation in the program helped "ensure the grid's reliability for communities across California." and saved enough energy to "power 84,000 homes!"